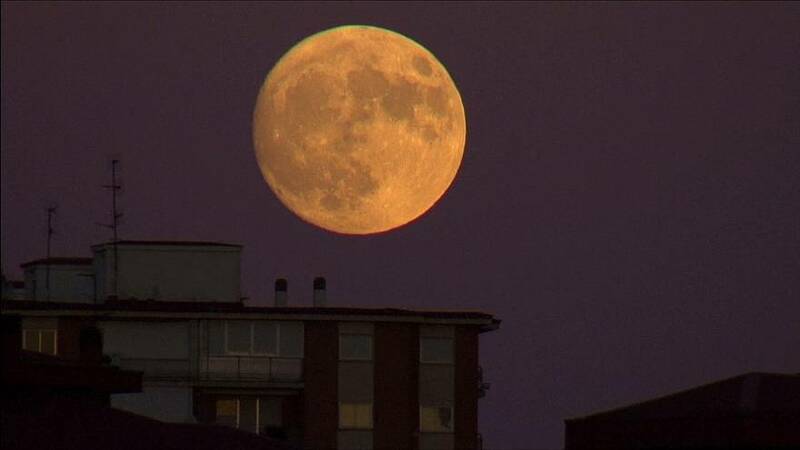 Clear skies permitting, skywatchers will be in for a rare astronomical treat this evening – a supermoon is set to grace Europe’s skies. Coming nearer to Earth than at any point since 1948, it should appear about seven percent larger and a third brighter than the smallest full moon. Spain had its first glimpse last night. At closest approach, the moon is set to pass within just under 350,000 kilometres of Earth’s surface, around 35,000 kilometres closer than average.